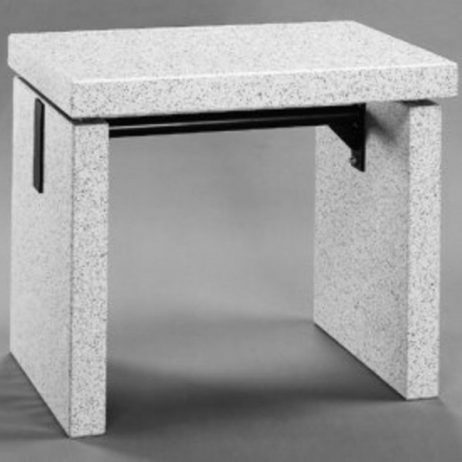 Granite balance table which is completely made of polished granite stone providing excellent support; the vibration damping mounts which help protect precision balances from excessive wear caused by exposure to vibration, and more. Anti Vibration Technologies provide top weighing balance tables but if you do not see the product you require, just contact our specialist through product inquiry page. Trust Your Ingredients! High density of the table’s solid granite provides excellent support for balances to meet the highest weighing requirements. Table is suitable for laboratory, analytical, semiconductor, and clean room environments. The legs are reinforced with powder coated steel support. All edges are rounded, and both the table top and legs are 75mm thick. The granite is easily cleaned. Polished jet black granite, shiny finish, beveled edges, tabletop mounted on shock absorbing pads.